In the 2015 business year, the profitable growth strategy continued with a record year and sales of CHF 5489.2 million. This equates to an increase of 6.2 % in local currencies. All regions contributed to the broad-based growth, as did investments in new factories and national subsidiaries. High growth momentum and disciplined cost management led to new record figures of CHF 673.3 million (+6.3 %) for EBIT, CHF 465.1 million (+5.4 %) for net profit and CHF 451.5 million (+8.1 %) for operating free cash flow. All regions achieved sales increases and market share gains during the 2015 business year, with double-digit sales growth in the core markets of the USA, Mexico, Africa, the Middle East, Southeast Asia and the Pacific. In cumulative terms and in local currencies, sales increased by 6.2 %. Excluding the negative growth in the Chinese market, sales rose by 7.4 %. The strength of the franc led to conversion effects of – 7.7 %, and thus to a marginal 1.5 % decline in sales in Swiss franc terms to CHF 5489.2 million. In the past financial year, the region EMEA (Europe, the Middle East and Africa) increased sales by 5.6 %, benefiting from the good business performance in Eastern Europe, Africa and the Middle East. Sales in Western ­Europe even slightly exceeded the previous year’s strong result. The greatest sales growth was achieved in the region Latin America. Despite a difficult market environment in Brazil, market share gains in other countries resulted in sales rising by 9.5 %. North America recorded a sustained high level of growth, increasing sales by 8.4 %. In the USA, continuing market development and the healthy construction sector, where investment in infrastructure and commercial projects is increasing, led to significantly higher volumes. Growth in the region Asia/Pacific slowed to 2.1 % owing to the market downturn in China. However, double-digit sales increases were achieved in Southeast Asia and the Pacific. 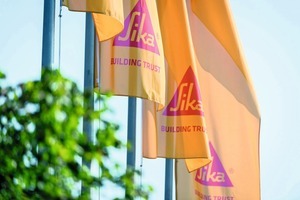 Sika’s accelerated growth in the emerging markets continued to generate compelling results, with sales rising by 7.9 %. The high-margin mortar business – a core component of Sika’s Strategy 2018 – put in an above-average performance, with sales growth of 12.9 %. Sika further expanded its fast-growing mortar business in the past year by opening five new factories and completing three acquisitions. The accelerated expansion in growth markets continued in 2015 and new factories were opened in all regions. In the region EMEA, the expansion of production capacity in the form of new factories in Dubai, Nigeria, Ivory Coast, Russia and La Réunion will provide additional future growth stimuli. New national subsidiaries were opened in Tanzania and Ethiopia. In the region Latin America, production capacity was expanded with new factories in Paraguay and Argentina. In Philadelphia, the fifth largest city in the USA, a new factory was commissioned for mortar and concrete admixtures. In the region Asia/Pacific, Sika’s first factory in Sri Lanka was opened, while a new national subsidiary was established in Myanmar. In January 2015, Sika took over Dura-Moza, a company based in Mozambique that manufactures and distributes mortar and tile adhesives. This acquisition will accelerate development and market penetration in Mozambique. In March, Sika acquired BMI, a US company that manufactures and distributes mortar products and systems for the construction industry. In the same month, Sika took over Axson Technologies, a leading producer of polyurethane and epoxy resins for design, prototyping and tooling. Also in March, Sika announced the acquisition of Construction Technologies Australia (CTA), a leading manufacturer of tile adhesives and mortar products in Australia. Furthermore, Sika acquired the remaining 50 % of Addiment Italia from its joint venture partner Buzzi Unicem. These five acquired businesses generated annual sales totaling CHF 115 million in 2014. The strategy review conducted in 2015 has prompted the Board of Directors to modify its targets for the three remaining business years up to 2018. Sika is now aiming for an EBIT margin of 12-14 % (previously > 10 %) and an operating free cash flow of 8 % (previously > 6 %). 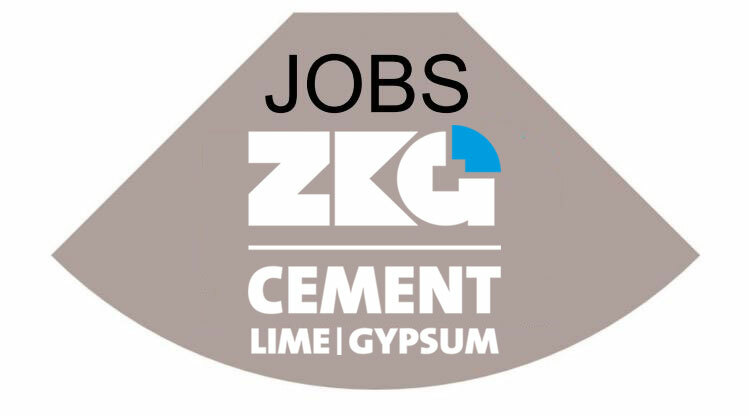 The company is also aiming to increase its return on capital employed to 25 % (previously > 20 %) by 2018. The accelerated expansion in growth markets will continue, with investment in six to eight new factories per year and the establishment of new national subsidiaries. For the current business year, the general conditions in some markets and the currency fluctuations remain a challenge. Even under these conditions, the continuation of Strategy 2018 promises good results. The expectation is a sales growth of 6–8 % and an above-average increase in margins. Strategy 2018 will be continued in 2016 with the opening of six to eight new factories and three to four national subsidiaries.